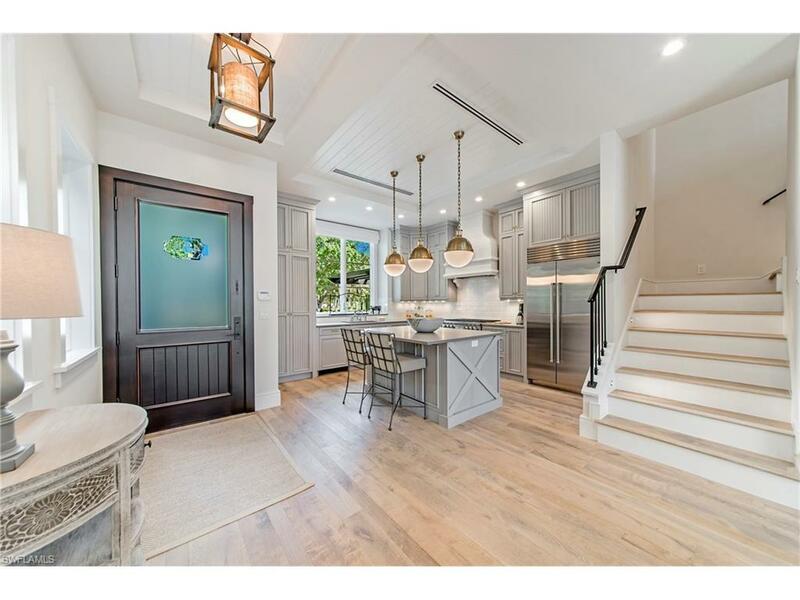 434 3rd Ave S, Naples, FL 34102 (MLS #217058301) :: Clausen Properties, Inc.
Be the first to stay in this newly built cottage by the beach, loaded with luxuries. Only 3 blocks from the white sandy beaches that make Naples one of the most desired locations in the U.S. 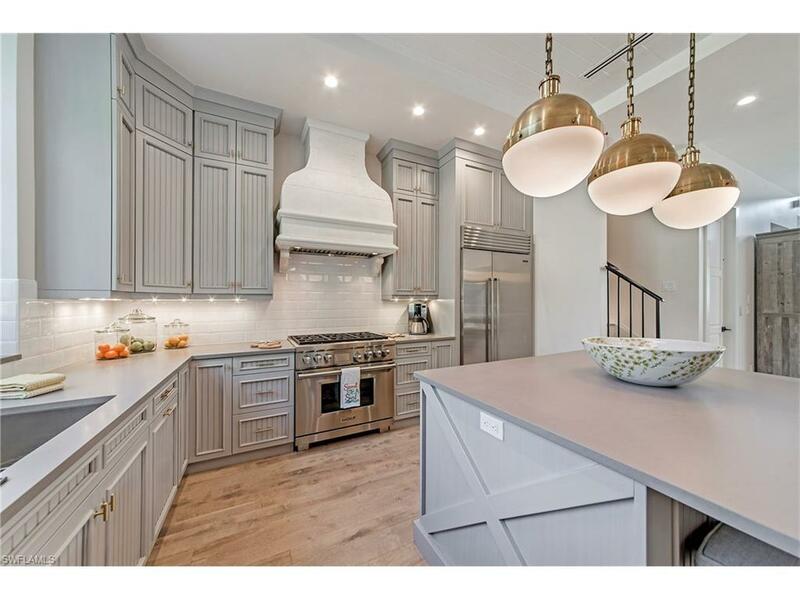 This dream home boasts nearly 5,000 square feet of living space. 4 bedrooms, each with it's own en suite bath. One bedroom features four floating bunks, each with a privacy curtain, lamp and charging station. Outside the bunk room, you will find a large media room with a vibrant red wrap around couch, large flat screen TV, and wet bar with a wine cooler. This space also has it's own private entrance from the downstairs pool area and a deck that's perfect for sunning. The extremely open living and dining space flow seamlessly into the outdoor kitchen and pool area. A bonus room and reading loft are also available for your enjoyment. Appointed with the only finest fixtures and furnishings, the quiet blend of charm and spaciousness are sure to make you feel like you've found paradise. 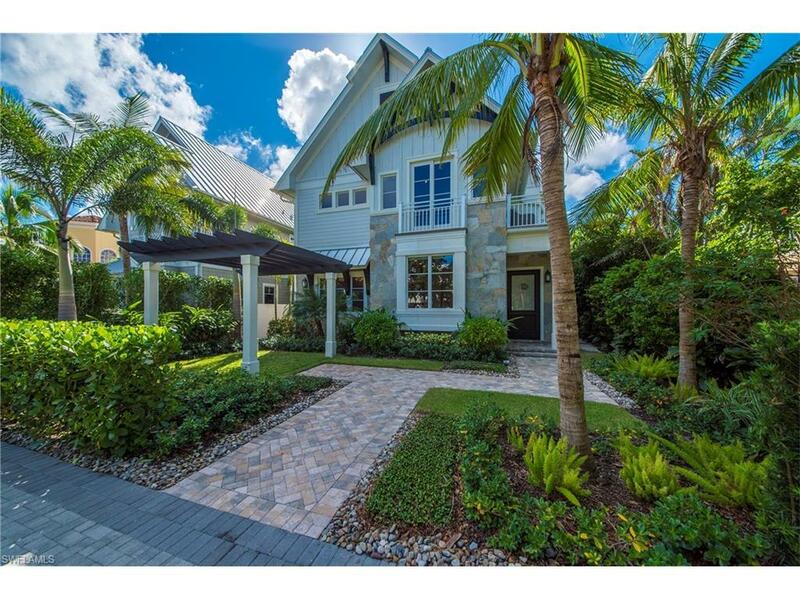 Walking distance to all of the delectable dining options on 5th Avenue, as well as unique boutiques on 3rd Street, the famous Naples pier, and everything else this beautiful city has to offer.